Happy Birthday, Google AdWords Help! 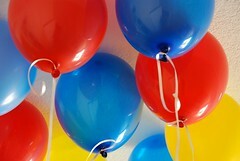 AdWordsPro has posted on Google Groups that the AdWords Help forum turned two yesterday. Today marks the second anniversary of AdWords Help! Wow, it's been another great year, and we've since grown to a community of more than 12000 members. We'd like to take this opportunity to thank the members of AdWords Help for your continued support. Forum announcement at Google Groups.